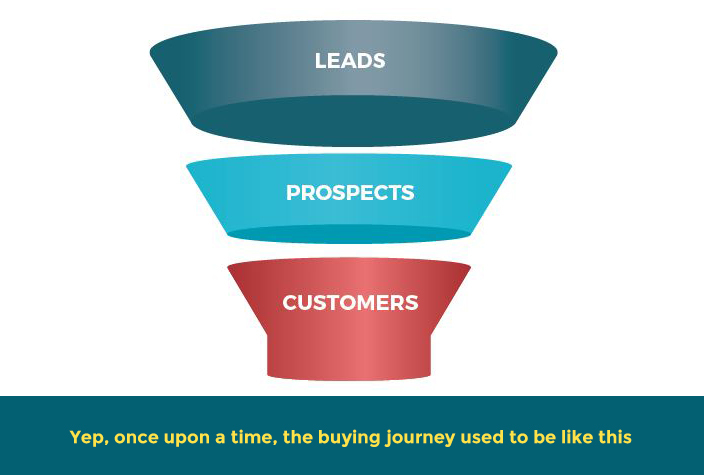 You already know an enormous amount about the customer journey through the sales funnel. You’re probably already learning why you should and how to harness Big Data to hone in on every nuance of the customer experience and glean the insights you need to make that journey that much more amazing. Of course, the more you learn about your customers’ behavior during the purchasing lifecycle, the better equipped you’ll be to attract and retain leads and turn them into brand ambassadors – way better than ordinary customers. But where, exactly, does the purchasing lifecycle end? For too many marketers, unfortunately, it ends with that one big moment: The Purchase. After the sale is made, they believe their job is done and it’s time to loop back and repeat the process for finding more customers. That’s too bad, because an overwhelming majority of businesses say it’s cheaper to retain a customer than it is to acquire a new one. Sure enough, judging from the hottest topics in marketing blogs these days, the lion’s share of energy for many marketers is given over to acquiring new leads and coaxing them through a funnel. 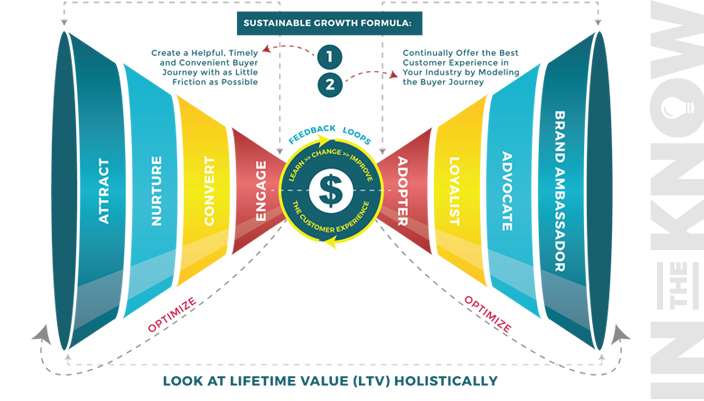 And the endpoint of that funnel is always, both literally and figuratively, The Purchase. 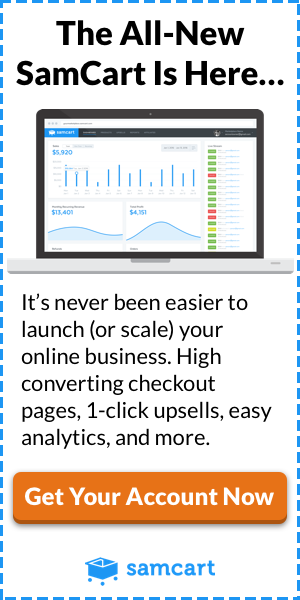 Making constant improvements to that pathway to purchase is often called Conversion Rate Optimization. You take every single piece of information you have from the moment a lead discovers your product all the way through to that magical moment when he makes a purchase. And then you painstakingly scrutinize allllllll of that information for clues about buying behavior, buyer persona, and anything else that might give you ways to treat your leads better and increase sales. That makes sense, but what you do after the purchase is just as important, if not more important, than everything you do up to that point. Why? Well, because keeping your customer around for more purchases is vital to the success of your business — especially if you’re in e-commerce, where it’s likely that half your revenue comes from repeat customers, according to data from RJmetrics. Fail to recognize this and you’ll find your business stuck in an infinite quagmire of expensive lead generation. Focusing solely (or mostly) on lead gen will eventually lead to diminishing returns for your business. It’s crazy expensive — Invesp says it costs five times as much to attract a new customer as it does to retain an existing buyer — so your budget will eventually hold you back from what really spells success: true growth. In other words, focusing only on customer acquisition and not enough on customer retention is not a sustainable growth strategy. I’m going to show you how the best in the business thinks about customer retention, and how you can begin to think like them so you can adopt a growth strategy for your business. First, however, you’ll need to re-think the way you envision the old-fashioned sales funnel. If you’re a marketer, I’m going to ask you to forget something that’s probably etched deeply into your brain cells. But you’re an innovative thinker, so I know you can do it. Take, if you will, the old sales funnel. Wide at the top and pointed at the bottom, it’s a vertical cone shape and usually features bands of color signifying various stages of the purchasing life cycle. …with the moment of purchase falling exactly in the center. Hello Bow Tie Funnel, you’re looking rather sharp! To view the bow tie funnel in all its splendor, click here. What occurs in that mirror-image funnel, after the point of purchase, symbolizes the other half of the customer journey, the one that never ends. It’s where you track the rest of the journey so you can find ways to actually keep those customers who made it through the first side of the funnel, focused on acquisition. This is the point where we need to dabble in semantics for a moment. Technically, since we’re extending the reach of the funnel and broadening its purpose, let’s call it by a more appropriate moniker: the marketing or conversion funnel. 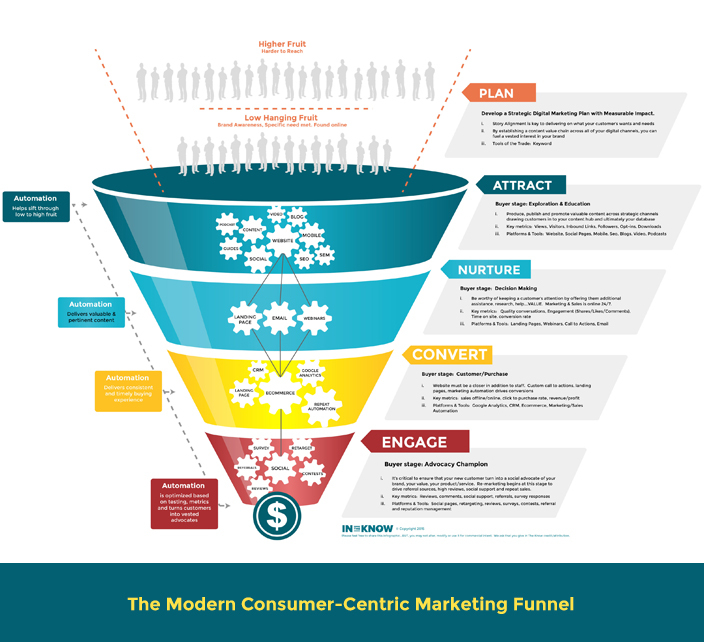 I talk about the modern marketing funnel extensively in this post, and if you’re part of a forward-thinking, growth-oriented organization, you’re already aware of the relevancy of the modern marketing funnel in the digital age. It signifies the many splendorous ways in which you can develop your relationship with your customers. It also signifies the broader range of products or services you can encourage them to purchase from you in the future. That second part of the journey is, in fact, an opening up of possibilities for a deeper relationship between you and your customer after she’s made her first purchase. Maximizing your returns by improving that second part of the journey is called Customer Retention Optimization (CRO). It’s the new CRO, and it focuses on the mirror image of the original marketing funnel, the right side of the bow tie, if you will. In the current state of digital marketing, however, most marketers (in part due to organizational structure) are still focused mainly on the old CRO: conversion rate optimization, or what happens before the sale—that is, acquiring new customers. 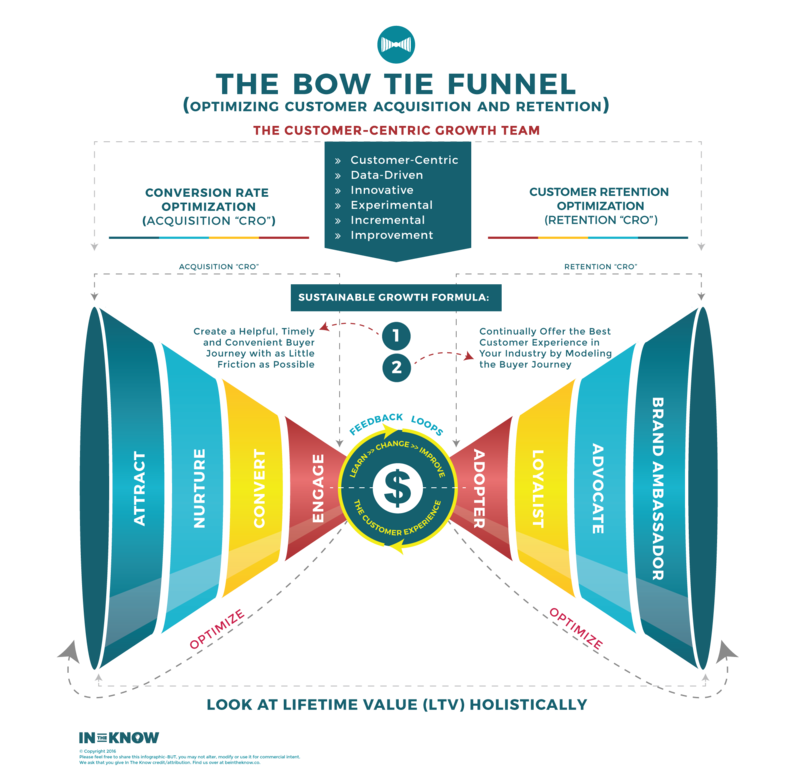 Only 40% of companies focus equally on both parts of the bow tie funnel. Let’s take a closer look at the four stages on the right side of the bow tie funnel. The first customer level is the Adopter — the person who has just made a purchase and is now incredibly open to information that will validate his purchase. The flip side of the coin is that your brand new customer might also be feeling a bit of buyer’s remorse. You need to banish that feeling completely and find the right levers to push and pull to make the buyer feel overwhelmingly confident about his purchase. Why does Amazon invite you to Tweet your purchase immediately? Because by publicly announcing it, you trigger certain psychological responses. You’re more likely to act in keeping with the behavior of a person who has made that particular purchase from that particular site, in order to avoid any kind of cognitive dissonance. What does this mean for you? There’s tremendous opportunity to increase the lifetime value (LTV) of the person who just bought when you take proactive measures to lower buyer’s remorse. Invite your customer to immediately take some sort of action to cement his status as an adopter of your product or service. Make him feel like an insider right away and immediately you’ll have taken measures to stave off the dreaded churn. You can accomplish this by providing a reward in the form of bonus material, a coupon for $X off his next purchase, an invitation to a special insiders-only community, or something else related to your product. With permission, you can tweet a public “thanks” to your new user for joining your community, or automatically enter him into a members-only giveaway. Also, make sure that you extract the critical information from your adopters: ask them what tipped the scales for them and encouraged them to buy so that you can continue to tweak and refine your offering to bring in more customers. 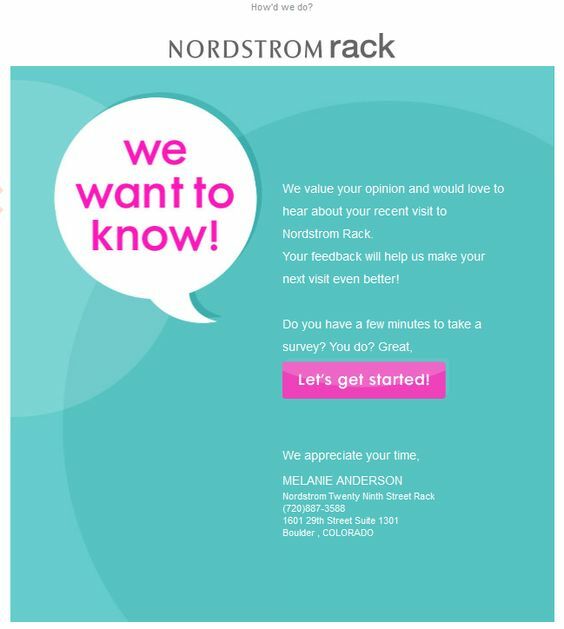 In way of example (and I’ll probably use them again), Nordstrom does a fantastic job of unobtrusively asking the right questions post-purchase where they undoubtedly uncover the small, but very critical consumer adopter insights to shape an amazing ongoing customer acquisition and retention strategy. Knowing that “a-ha” moment is a key driver of growth. Use automated surveys and even personal follow-ups by phone and email to get as much intel as you can. If you are truly committed to creating a stellar customer experience, consider personally following up with your first 100 customers. Imagine the information you could get from a 10-minute call with each of those people — and how you could apply that information across your entire bow tie funnel. The second customer level is the Loyalist. Depending on your specific business model, this might be a customer who upgrades from freemium to paid user, a repeat buyer, or something else entirely. The primary difference between an Adopter and a Loyalist is that an Adopter may have made an instinctive, spur of the moment decision to buy. A Loyalist has had time to reflect on that decision and has made a calculated choice to return (or upgrade). How do you tap into the Loyalist market? One key way, according to my friend David Skok, is to create a scalable pricing model. You can do this by offering different levels of service, different product features, and so on. For example, individual users such as hobbyists and freelancers probably don’t need top-level phone support and will be satisfied with 24-hour email response time or self-service knowledge base searches. They might be completely satisfied with smaller storage amounts and fewer customization options, as long as they can pay a very low monthly fee. In way of a great example, think of toggle pricing with clearly defined value drivers (what you get in return for paying $X) from each pricing axis. 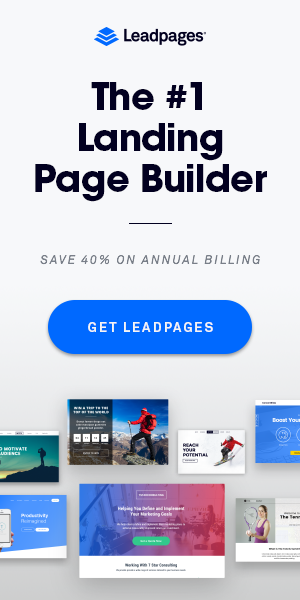 My friends over at Leadpages do a fantastic job at setting expectations clearly and then upselling the value drivers post purchase. Small business owners and entrepreneurs starting companies may be looking for more customization, multiple user accounts, more storage, more responsive customer service, and other perks that come with a higher service tier. And enterprise clients need to know that you’re a reliable service provider, with the ability to respond to issues in real time, so that they can continue to focus on their own businesses. We’ve taken a similar approach with our pricing at Pulsemotiv. 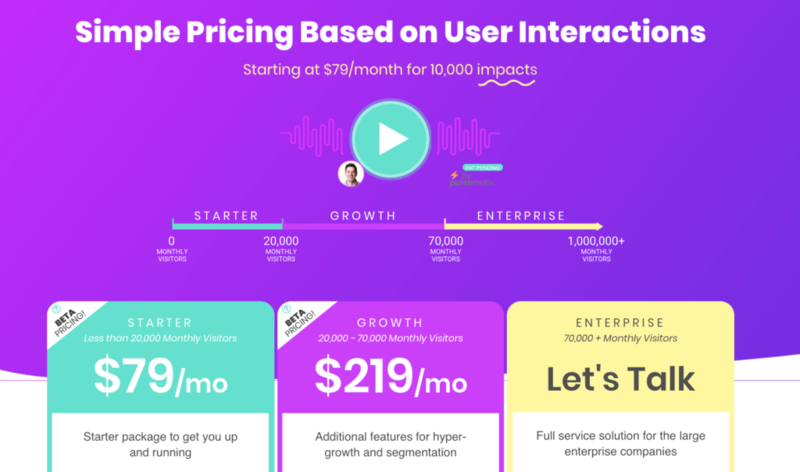 The pricing tiers we use are aligned with how much the person will use the product. That’s because we know that people will only pay for something that offers direct value to them in the long run. 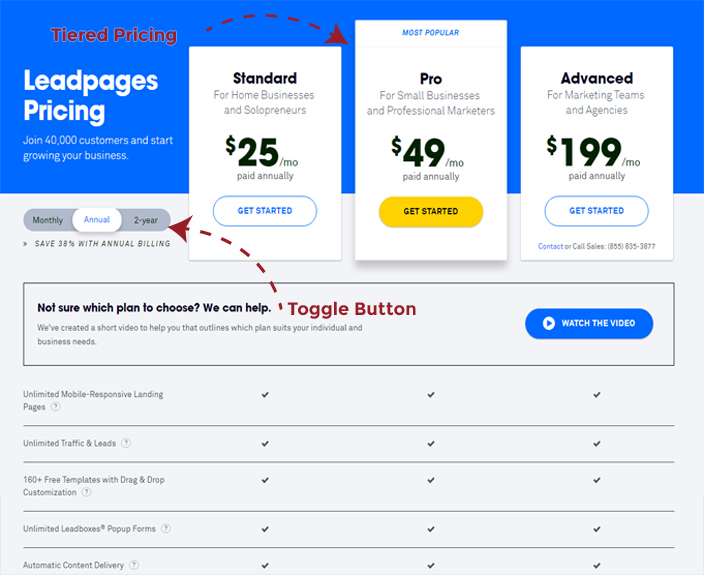 By pricing our SaaS product in a way that empowers the user to only pay when value is earned, we’ve developed a win-win strategy that’ll push a consumer to the loyalist level of the bow tie funnel with ease. Creating these service tiers lets you serve multiple buyer personas in a way that maximizes profits for you while meeting the individual user needs of your customers. That freelancer doesn’t want to pay for enterprise-level service he’s never going to use — but he’s happy to pay for what he needs, and to use it appropriately. In a non-SaaS business, you might find that your Loyalists are those who respond to cross-sell marketing — perhaps buying related products you offer or even responding to affiliate offers that provide you with a cut of the profits. Think about the ways you can offer your own tiers of service, or how you can adapt your product to tiered pricing that lets you maximize value and profits. The point is, your giving a reason for your customer to stay and scale into other products, services or pricing tiers. The third customer level is the Advocate. This is the customer who has made that important repeat purchase and is ready to begin using his or her social influence to help sway other prospective buyers by writing reviews, providing testimonials, or engaging on social media. To encourage your Advocates to take action, offer them relevant incentives. What’s relevant? It could be early access to new products in exchange for writing a review of a certain length or providing a video testimonial. It could be upgrades to a higher service tier or inclusion in a special VIP group in exchange for making personal referrals. 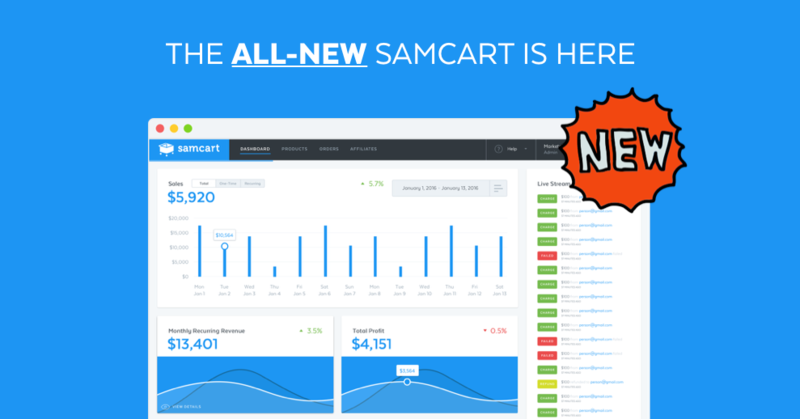 Recently, Brian Moran launched a very successful content upgrade and gift giveaway affiliate campaign for a newly souped-up version of SamCart. Instead of simply (and lazily) posting a press release or two around these new features, or heading over to social media to tweet about it, Brian planned out and launched a multi 7 figure relaunch through a very effective advocate/affiliate campaign. He tapped into his current customer base and got them pumped about advocating for the brand (in marketing speak this was a full-on affiliate play). It was truly one of the best affiliate campaigns I’ve seen in a long long time. You want your Advocates to find more customers like themselves — that is customers who will become Advocates — so encourage them to refer those people by creating highly targeted incentives: perhaps a 30-minute consultation for an Advocate who refers 3 customers who sign up at the mid-tier level, a free something for an Advocate who refers X customers who spend $Y, or the equivalent benefit for your business model. And when you have Advocates, don’t ignore them. If they’re Tweeting to you, reply and retweet with your thanks. If they’re posting about you on Facebook, share their posts with a few words of appreciation. If they reach out via email, make sure they get a personalized response that acknowledges their status, not a canned reply that makes them feel like one of the masses. The fourth customer level is the Brand Ambassador. These are the people who practically deserve to be on your payroll. They talk about you in real life and online. They are passionate about their relationship with you. They are truly vested in your story, your people, your products and services and essentially give you the brand equity or value to the marketplace. They wear your t-shirts and Tweet about you and tell people how amazing you are all the time. These customers are your most important customers, and they should be treated as such. YouTube does a great job in recognizing YouTube video creators who exhibit influence (which is directly tied to YouTube’s top line). 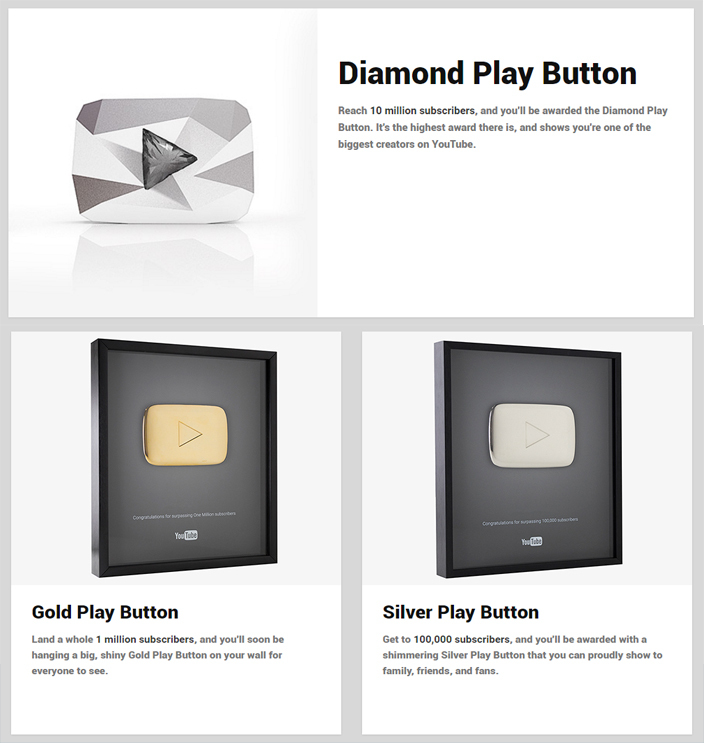 Not to be matched in bling, a video creator is mailed a personalized gift once they hit either 100k, 1m or 10mm subscribers. Because of the perceived value, the gift is a great way of saying, “Hey there Valued YouTube Video Creator, you’re in exclusive territory and we’re here to support your further success.” Enough said and yes, they will actually post this video online, tweet about it and make sure every single person on their Facebook wall knows about the achievement. Any customer who reaches this stage should receive some sort of personal acknowledgment. A hand-written thank you note with a special gift, a special invitation to join an exclusive compensation tier for affiliate marketing, double reward points, free bonuses with every purchase, or something else that makes sense with your business model. The point is that these customers are special, and they should know that you know how very special they are. For example, some airlines assign a porter to carry the hand luggage of their top-tier customers as they enter and exit the plane. It’s a tiny bit of service that costs the airline almost nothing, but makes it clear to the passenger and everyone around him that he’s a Big Deal. Some Etsy business owners reward their best customers with free overnight shipping and/or a free gift with each purchase. Think about what makes sense for your best customers. How can you best show your appreciation on a regular basis? Customer retention and optimizing for retention is nothing new. It dates back to at least the 1890s, when Green Stamps (tradeable for household goods) were invented by Sperry & Hutchinson to keep customers shopping at the stores who gave them out. People collected Green Stamps with a furious fever that was unmatched for decades—that is until in the 1970s the company lowered the value of the stamps so far that people actually sued them. Yup, after 70 years of cultivating generations of loyal customers, they blew it in just a few short years of devaluing their rewards. That should tell you something about the fickleness of customer loyalty, and how hard you have to keep on working for good retention numbers. So, the concept of keeping customers coming back for more is as old as the hills. However, it’s the idea of allocating sizeable resources (brain power and budget dollars) to customer retention that many businesses haven’t quite got their heads around yet. It wasn’t even until 1990 that business owners even came across the idea that loyal customers had actual, measurable value. The concept was first proposed in the Harvard Business Review by Frederick F. Reichheld, who showed companies that by keeping customers around, their profits would rise. Seems simple enough, but sometimes it takes a Harvard guy to spell it out before CEOs will start adopting the mantra and begin changing their operations accordingly. So now, armed with the knowledge that customer retention is vital to growth and that CRO produces measurable benefits, all you need is to find the right resources and dig in. But before you can budget for something, and before you begin your CRO campaign (on either side of the bow tie funnel), it’s probably a good idea to figure out how you’re doing in the first place. This is especially true if you have to jump through hoops to get someone to approve budgeting for your new customer retention plan. For that, you’ll need to create a benchmark to work from. The rate of customer loss is called your churn rate. Just keep in mind this handy rhyme: Customer churning means you’re not earning. You’re welcome. Seriously, knowing your current churn rate tells you how your current customer retention optimization efforts are working — or, you know, not working. You need to know your churn benchmark now, before you make changes, or else you’ll be working in the dark. For SaaS businesses, measuring churn rate is especially important. And if part of your revenue depends on being able to show your subscription customers advertising, high churn rates will be your death knell. Create a database for storing all that data. Then, after months of collecting this data and computing engagement scores, you’ll begin to create reports and analyze them, looking for patterns to see where customers are dropping off and why. I’m pretty sure I know what you’re thinking right now. “Maybe I’ll save churn rate for later on in my business development education.” That’s a bad idea. Plus, once you manage to extract some actual numbers on your customer retention, what will you compare them to? There’s not much publicly published data out there on churn rates. That’s why it’s important to measure your churn rate early on — you’ll have something to compare it to later when all this CRO stuff starts taking effect. But let’s go back to why so few marketers seem to know about the “bow tie” mentality of CRO… and then pick back up again with how you can begin adopting the CRO culture in your own business. It’s human nature, really. It’s fun to think of acquiring new things rather than focusing on how to keep the old ones. It’s a primal urge to seek out new stuff. We humans are greedy. But unless you’re running a tchotchke shop in a cruise ship destination where fresh daily hordes of souvenir-hunting tourists are dumped at your door, you’ll eventually have to start thinking about pleasing your existing customers if you want your business to thrive. In fact, I can’t think of any selling situation where it doesn’t pay to consider improving customer retention — not even the exclusive dealer of the trendiest jewelry item on the planet with a prime spot in a cruise ship destination. Even that uber-hipster will eventually go out of business if he doesn’t put energy into retaining some of his customers. I can show you numbers proving that it costs far more to acquire a new customer than it does to keep an existing customer (how does up to 25 times more expensive sound?). I could remind you that consumers have more options than ever before in history, which means if you don’t try and keep them after the sale, they may still go elsewhere, even after choosing you the first time around. But the best way to drive this idea home, this concept of allocating major resources to customer retention, is to introduce you to the King of Customer Service and Retention: Nordstrom. To understand why customer retention is so vital to growth, we can actually take a lesson from good old fashioned salesmanship. I’m talking the kind that predates sales training, and even the notion of professional sales people… the kind that hearkens back to the family business where every purchase was an exchange of trust, rather like making a pact with a neighbor. In this very old-fashioned context, when something went wrong post-purchase, the business owner would do whatever it took to erase the shame of a less-than-perfect outcome of the sales transaction made with a neighbor. Mom & Pop shops with that level of investment and dedication to the customer experience are almost extinct these days. However, you can see remnants of that vested mentality here and there in the retail world. It’s so rare, however, that when it does occur, people write books about it. Nordstrom comes to mind, of course, with their incredible formula for customer service dating right back to 1901 when the shop was a 20-foot wide storefront on Pike Street in Seattle. From Day 1, a culture of humble subservience to the customer has worked to make Nordstrom the King of Customer Service. Still more remnants of the original customer-centric way of selling can be seen today, mainly in luxury retail. Here, salespeople are taught the sale doesn’t end with the cha-ching of the register. And it’s the little things: a high-end store will train its associates never to hand a customer her purchase over the counter, but rather walk around to personally hand the bag to her with no barrier in between. Then, if the context allows, they’re trained to keep a conversation going and walk them right out the door. That’s the kind of white-glove treatment that makes customers feel confident in their purchases. Just in case they feel spasms of involuntary buyer’s remorse, you’re there to shroud them with the VIP treatment. It’s called onboarding. For example, when you make a purchase from Amazon, you don’t have to wonder if it went through — the thank you/confirmation page lets you know that everything’s good. You can immediately see related items, share your purchase on social media, and even sign up for text notifications when your package ships. When those high-end retail stores train their salespeople to walk around from the counter to hand a customer her purchase, then walk her to the door, they’re teaching behavior. And sure, salespeople can learn behavior. But what’s better is if salespeople feel vested in the company’s vision, aligned with the company’s Story, and motivated to work independently for continuous improvement of the customer experience. Then, that behavior should come naturally. No training necessary. Indeed, Nordstrom is also famous for having very few “rules” and guidelines about selling. Instead, their sales associates are coached in “The Nordstrom Way,” encouraged to use their own judgment, and empowered to act on it. That’s what you want for your company: employees who understand your Story and who are Vested in your mission. I call it StoryVesting, and if you’ve read my blog before, you’ll know exactly what this means. A customer-focused business simply means one where the customer is taken into consideration when business decisions are made. That can take the form of targeting a particular segment with your advertising, or it can mean you place high importance on the UX of your website. Or it can simply mean you offer free shipping because you know your customers want it and that will help sales. It’s a marketing philosophy that, when done right, results in more leads and eventually more conversions. Running a customer-driven company, on the other hand, requires much, much more than the application of a few data-driven marketing techniques. A true customer-driven company, where “customer centrism” is the mantra of each and every employee from the front line right on up to the CEO, bows to the needs of the customer. That’s a whole lot more than serving the needs of the customer. That’s what Nordstrom did, and it’s why that company is the King of Customer Service. It’s why their store survived the Great Recession, and it’s why even Saks and Bloomingdales strive to be like them — because they’re the best at it. So, how can you be humble in the face of your customers’ desires and needs? It starts by listening to them — carefully. You’ll want to hear from them at every point in their purchase lifecycle. Collect data in every way possible, and then work hard every day to foster innovation in your company to come up with new ways to serve your customers. None of that is possible — especially the innovation part — without the full engagement and investment from all of your employees, not just those in the marketing department. Your customer-driven mentality must also be completely pervasive throughout your company, and it must be ongoing. CRO should become a dynamic part of your company culture, so that every day, every employee is thinking of new ways to make things better for the customers. Know what the top goal of customer service giant Nordstrom is, every single year? To improve its customer service. Not even Nordstrom can rest on its laurels, so why would anyone else? How do you find employees with that kind of dedication to creativity and to helping move your company forward, the way Nordstrom does? You find people who wholeheartedly believe in your product and your company. You’ll need to define and redefine your company’s Story (the capital ‘S’ is intentional) first, and then go out and find employees whose personal values align with your Story. Buy-in is one of the critical components of what I call StoryVesting. I’ve spoken about StoryVesting before, probably ad nauseum, because it’s what forms the underpinnings of your business’s entire growth strategy. Without a customer-centric starting point, your strategies and tactics (as well as your team) can unravel in splendid fashion. Once you’ve mastered StoryVesting, you’ll have the ability to garner continuous feedback about the customer journey from all parts of your company, not just the marketing department. That’s how you learn how to keep your customers around long after their first purchase is made, and that’s how you master the new and hottest CRO acronym: Customer Retention Optimization. Businesses should focus more on retention over acquisition and they need to have real conversations with their customers. 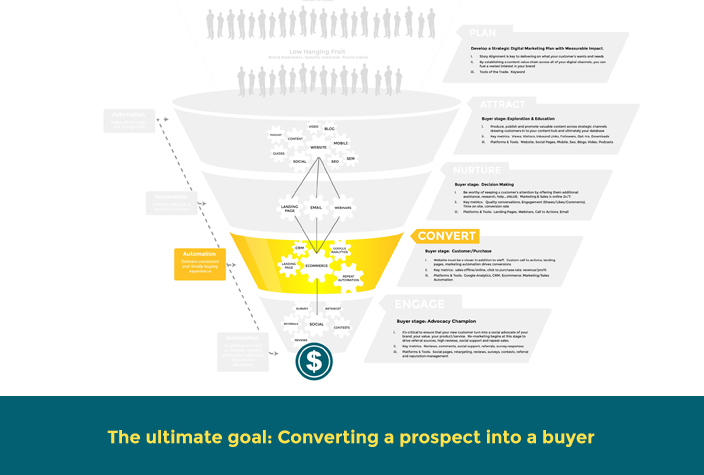 We should look at our sales funnel as a bow-tie. This can be possible when we put the traditional and flipped funnel together, we’ll get a bow-tie and this itself is not meant to be linear. We get the true retention only when we get into content creation, referrals, and formalizing and scaling advancement. But at presently we are more focusing on the wrong priorities. Instead, our true retention should be customer-centric. Keep posting this kind of valuable posts for the readers out there like me. I have come across so many sales funnels before but when coming to your blog, here I found something different and unique about the sales funnel. You have explained it very well about the customer retention and why it is important after the purchasing of item or product. I have read your previous blog also about story vesting, engagements of customers is only possible through StoryVesting and Yes! you’re right that without listening to them we can’t get what they are looking for and what they want. Innovation and creativity are their priority otherwise, they won’t look out for our products. Great post as always, what I like most in the post is “Churn Rate”, which I was not knowing before in detail. For the optimization of customer retention why churn rate is important, now I know. As customer retention is the prior thing which every business owner do and so many times they get to benefit from the existing customer through referral and reviews. 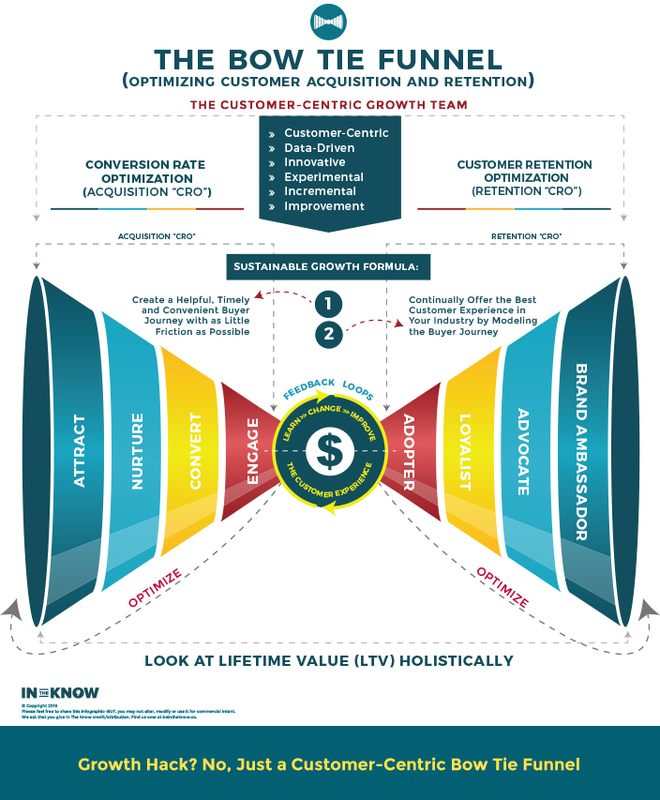 Combining the traditional and flipped funnel together is the best way for the growth orientation purpose and you have explained it in a good way with steps, which I found helpful. Great post. Appreciate the way of acknowledgment about the customer retention optimization, how and why businesses should consider it as the new achievement for their growth at present time. Being a part of a forward-thinking, growth-oriented organizations we should be aware of the relevancy of the modern marketing funnel in this digital age. In your post, you have shed the light on it perfectly which has increased the knowledge as well as the attention towards the customer retention optimization. It’s true that in present time, organizations more focused on the wrong priorities instead of considering their customer retention optimization. Thank you for sharing, I found it helpful and informative. Very valuable post indeed! Thank you for sharing this different perspective on the funnel. Is there a 3rd dimension with a funnel dedicated to the Product (or Service) sold? I’d love to get this additional perspective.